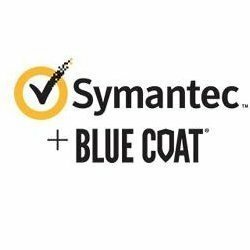 Work for Blue Coat On-Premise Secure Web Gateway? Learning about Blue Coat Secure Web Gateway? Audit logs are very limited to identify policy changed in SOC environment . Management Center need to achieve both. recommended to any size of organization who need complete Web Security solution. it gives complete ROI of this solution. Proxy solution, Caching, Gateway Antimalware, Content Analysis, Hybrid deployment for roaming users. Bluecoat reporter give granular level information about user internet access. User based internet access policy. Learning about Blue Coat On-Premise Secure Web Gateway? * We monitor all Blue Coat On-Premise Secure Web Gateway reviews to prevent fraudulent reviews and keep review quality high. We do not post reviews by company employees or direct competitors. Validated reviews require the user to submit a screenshot of the product containing their user ID, in order to verify a user is an actual user of the product. Hi there! Are you looking to implement a solution like Blue Coat Secure Web Gateway?